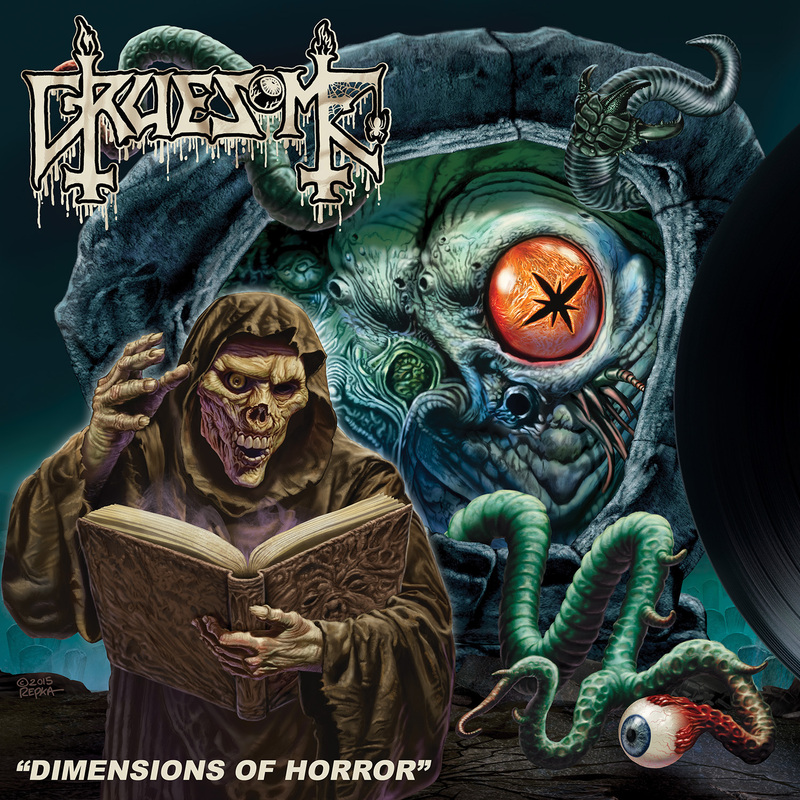 Review: Gruesome – Dimensions of Horror – Relapse Records – Release: May 20th, 2016. May the 20th marks the date when the last shall become the first, when Death’s monumental “Scream Bloody Gore” gets its deluxe re-release treatment. Ground-breaking and a pure classic this album sets the hearts of many death metal enthusiasts racing to this day. 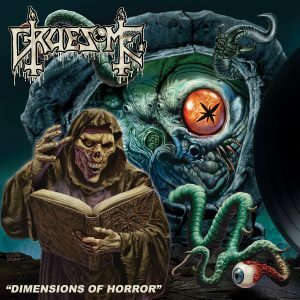 However, this review is not about that classic, but about Gruesome’s six song EP set to release the same day. Gruesome really caught the hearts of many with last year’s “Savage Land”, a pure worship of Death’s “Leprosy”. 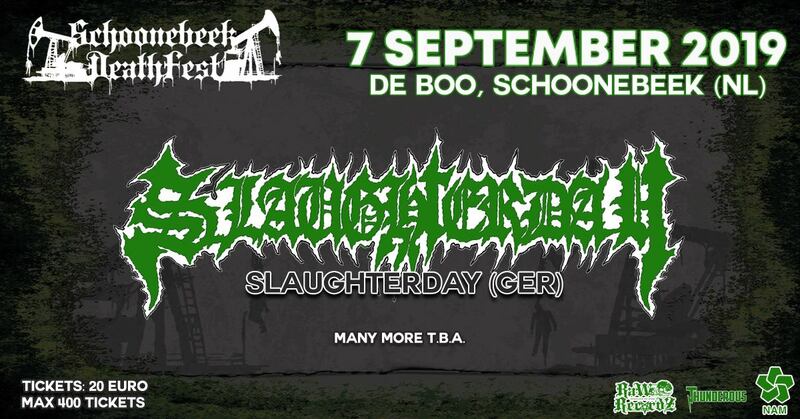 In the same vein “Dimensions of Horror” is a celebration to “Scream Bloody Gore”. There’s no mincing of words there, you’ll instantly recognise riffs and songs structures and you’ll be likely to sing along with the wrong chorus! Shying away from modern day production the band, rightfully so, chose to have a low grade production, harkening back to the old days, yet with a bit more oomph. What more is there to say about this EP? If you love pure death metal and you’re not averse to some unashamed copying you’ll definitely enjoy this lovingly crafted tribute to times of yore.